Thanks to talent or lineage? Agreeing with Faiza is another self-made artist, Uday Bhaskar Rao, who feels doing good work is all that one needs. What matters more; sheer hard work or the backing of one’s family, which ensures that their child gets every opportunity possible to showcase their talent? Name any field of work, and you are bound to find examples of people working in the same industry as their parents, as a result of which they get better opportunities as compared to their counterparts. Similarly, when we talk about art, many gen-next artists are seen in the limelight more often than their more deserving peers. Is it fair? According to Faiza Hasan, an upcoming artist in the city, constant push and patronage does help one to get to the forefront, but it is not the only way to be successful. “I don’t belong to a family of artists but I have made my own identity. I have chartered my own path; for me, it was easy to explore more opportunities and take risks. Any sort of patronage is good but not compulsory to excel,” she says. 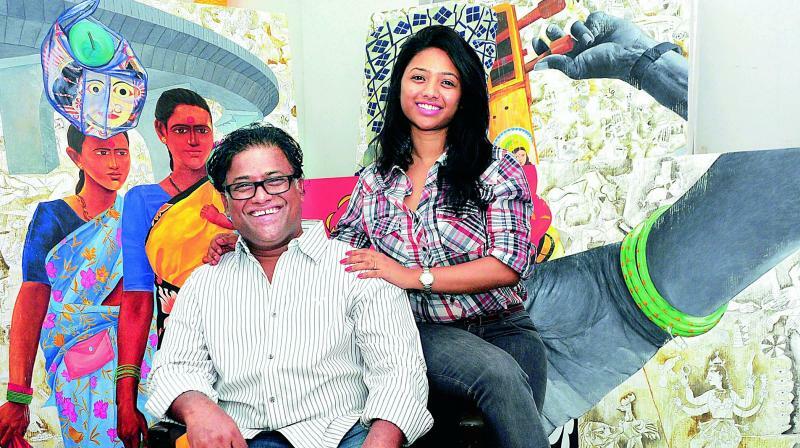 Agreeing with Faiza is another self-made artist, Uday Bhaskar Rao, who feels doing good work is all that one needs. “My father was a teacher and he gave me constant support as any parent would do. He encouraged me to work harder and it is this advice which has forced me to give my 100 per cent every time. I struggled a lot in the beginning but now I am getting calls to exhibit my work at different galleries,” he says. Priyanka’s views are in tune with Afza’s. She states that being Laxman Aelay’s daughter is a challenge on its own. “Any parent will go out of their way to push their child to find success. But if there is no talent, how far will this patronage work? My father did hold my hand to help me get a foothold in the industry. But people should remember me due to my work and not just for being someone’s daughter,” she says. In this circle of family artists, however, there is one famous artist who never treads that path. 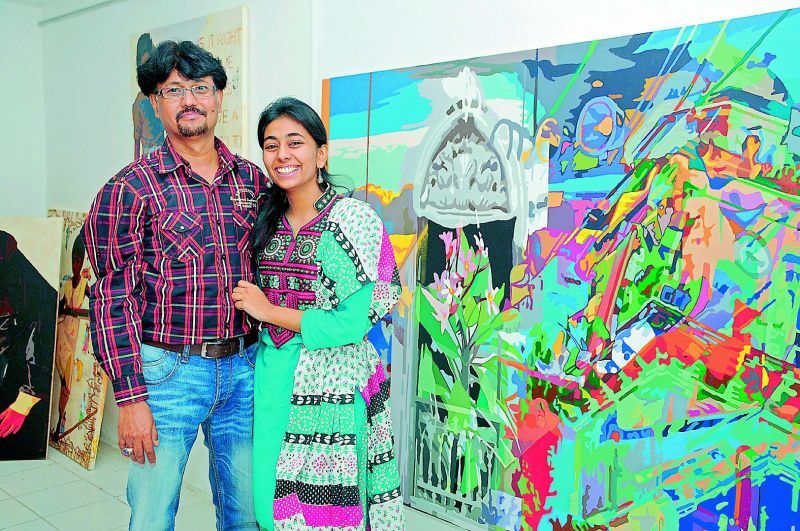 Laxma Goud, father of Nandini Goud, a well-known painter and printmaker from the city, feels he has never gone out of his way to further Nandini’s public standing. “I don’t support promoting one’s children. We, as parents, can create an environment for our children but the rest is on them to get recognition, especially in the field of art,” he mentions. Dr Avani Rao Gandra, owner of IconArt Gallery and a celebrated curator, feels every opportunity should be utilised well and to its fullest in order to boost young talent. “Young artists who are confident about their work and have a brilliant collection of art can always come to IconArt to display. I have always been supportive of young artists,” she says.